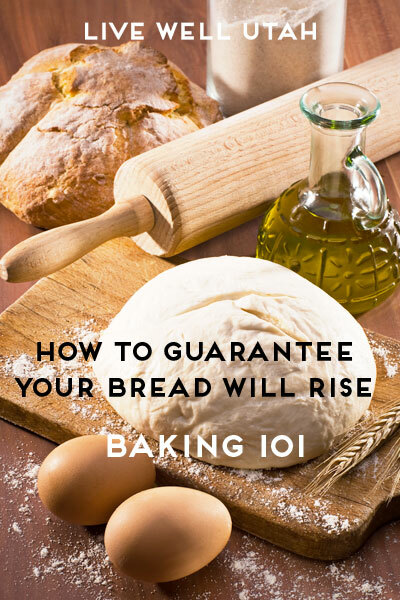 Unless you regularly bake bread, pastries or cookies, the leavening agents on your shelf (e.g., yeast, baking powder, baking soda) may not be fresh enough to make a high-quality baked product. While it is true these items don’t actually expire on the date indicated on the package, they do have a shelf life that needs to be taken into consideration. It’s very satisfying to create yummy home-baked foods, and it only takes a minute to check to make sure leavening agents are fresh so you know your baking will be a success. Leavening agents are used to cause a baked product to rise (increase in size). This happens when the leavening agent is combined with liquid to create carbon dioxide gas. It is the bubbles of gas trapped in the dough or batter that cause the baked product to rise or expand. There are only a few of these agents used regularly in baking, and each basically works on the same principle. They all become activated with the addition of a warm liquid such as milk or water, or it may take mixing with a liquid acid such as vinegar, lemon juice, sour milk or buttermilk. Cream of tartar and tartaric acid (a key ingredient in baking powder) are examples of powdered acids. In general, food storage experts say that baking soda will last up to 2 years on the shelf if stored in an air-tight container. Eighteen months is the storage time suggested for baking powder. Yeast, if kept dry and cool, generally stores for 1 year but it can be stored in a tightly sealed container in the freezer for up to an additional year. However, the length of time these dry leavening agents will store depends on a few specific criteria such as freshness at time of purchase, temperature of storage space, type of container, humidity in the air and exposure to oxygen after opening. On the package of baking powder and dry yeast, there will be a “best by” or “best if used by” date. Depending on the brand of baking soda purchased, it may have the same wording or it may actually indicate an expiration date. Remember that baking soda does not go “bad” overnight. It will have a gradual decline in performance just like the other leavening agents. Cooler temperatures generally extend the shelf life of canned and packaged food goods. However, for leavening agents, if that location is in the basement, adjustments may need to be made to protect the leavening agents from humidity. If the basement generally smells musty, the leavening agents can be placed in air-tight jars, bags or containers for storage. The makers of Clabber Girl®, a company that manufactures baking powder, recommend that baking powder not be stored in the refrigerator or freezer. This is because condensation builds up in the can and may drop onto the baking powder, causing it to react and making it useless for baking. However, dry yeast can be stored in the freezer. So, let’s say you look in the cupboard and all of the leavening agents you plan to use have passed the date recommended for use. How can you tell if they might still be usable? Here are some simple tests. Baking powder is activated by a combination of heat and moisture. So to test it, mix 1 teaspoon of baking powder in a glass bowl or dish with 1/3 cup of hot tap water. If the baking powder is still good to use for baking, the mixture will produce lots of bubbles. Be sure to use warm or hot water for the test since cold water will not produce the same results. When it comes to baking soda, heat is not required for it to be activated; just the addition of an ingredient considered to be acidic. Placing as little as 1/4 teaspoon of baking soda in a spoon or small dish and adding a few drops of vinegar or lemon juice should cause the baking soda to bubble vigorously. If the production of bubbles seems slow or not very active, it’s time to replace the box. To test the freshness of dry yeast, the makers of RedStar® brand recommend using a 1-cup liquid measuring cup to dissolve 1 teaspoon of yeast in 1/2 cup warm tap water. It is recommended that a thermometer be used to make sure the water is between 110° F- 115° F. If you don’t have a thermometer, the tap water should be warm to the touch, not hot. In less than 4 minutes, the yeast mixture should have produced foam and raised to the 1-cup mark on the measuring cup and also have a rounded top – much like dough looks as it rises. If this happens, the yeast is considered very active. If the yeast did not rise to the 1-cup mark, the yeast has little or no activity and should be discarded. 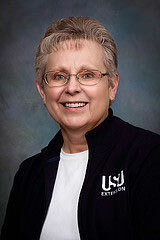 Kathleen Riggs is the Utah State University Extension family and consumer sciences professor for Iron County. She loves yard/garden work, where her favorite tasks are weeding and mowing the lawn. Her favorite appliance is the microwave oven, and her specialty is microwave caramels. She loves family time and occasions that bring everyone together from near or far.